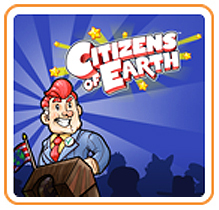 Citizens of Earth returned to the 3DS eShop no later than July 30th, 2016. 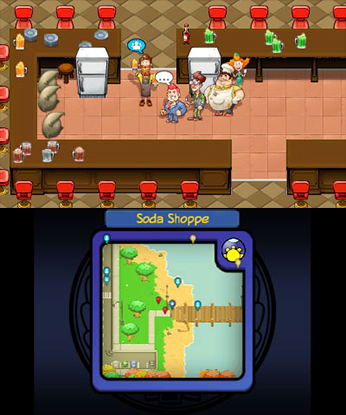 Citizens of Earth was removed from the Nintendo 3DS eShop no later than May 13th, 2016 by Nintendo after the game was found to be used in a new exploit. Dubbed the “humblehax”, the exploit’s release seems to have been timed with the game’s inclusion in the Humble Friends of Nintendo Bundle though no statement of intent has been made. As of June 1st, 2016 it is unknown if the game may return after being updated but we have reached out to the developer for comment. Gotta Recruit ’em All – Every vote counts, and sometimes you have to do some pretty shameful things to get them… Citizens of Earth has 40 citizens to collect to fight in your party, each with their own unique play-style and out-of-combat world abilities. Everyone in town will lend a hand, from the way-too-jittery Barista and the ever-optimistic Weatherlady to the notoriously skeezy car salesman and the ridiculously shy (and totally real) Sasquatch! Occupy Earth! – It’s time to take back Earth from the opposition. 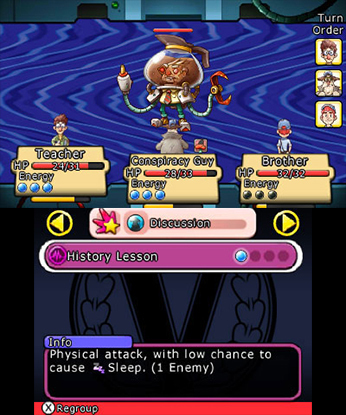 There are no random encounters in Citizens of Earth; you’ll see every enemy on the field before you fight them. So go ahead and maneuver around those unwanted encounters or command your constituents to charge in for an ambush! As long as the VP’s got a party to do his dirty work, it’s all good! It’s Déjà Vu All Over Again… But Better – Citizens of Earth has some serious nostalgic cues, but don’t worry, we didn’t skimp on the graphics for the sake of being retro. 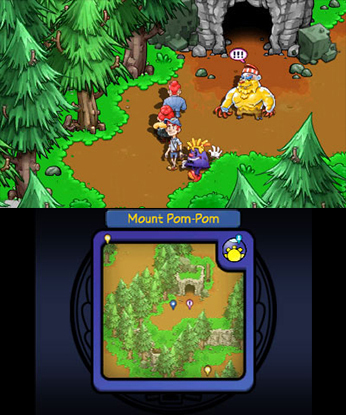 This title goes far beyond the 16-bit standard, with real-time lighting, HD art, a day/night cycle, weather effects, and more. Four- or Eight-Year Terms – The depth of content in Citizens of Earth means you can play a quick and casual adventure or a white-knuckle, pray-you-survive-until-the-next-turn grind-fest! The game is filled with hours of bonus content to explore, optional side-quests, and of course, citizens waiting to be recruited!